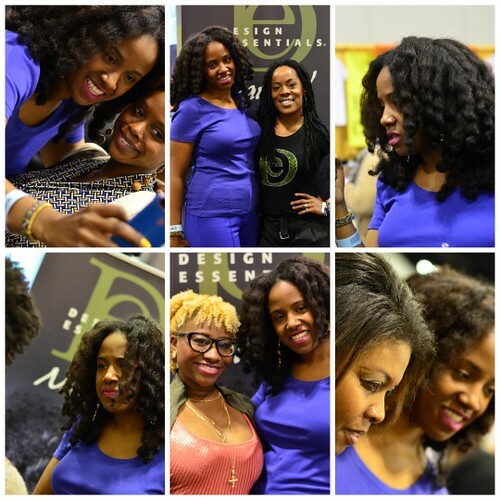 So I finally have the time to write about the World Natural Hair Show! My friend and I had such a great time. We bought a few goodies, took a few pictures, and had a good time! We even ran into one of our favorite bloggers! Although I did not spend a lot of money (thankfully), I did pick up a couple of items that I love and of course got some new ones too! 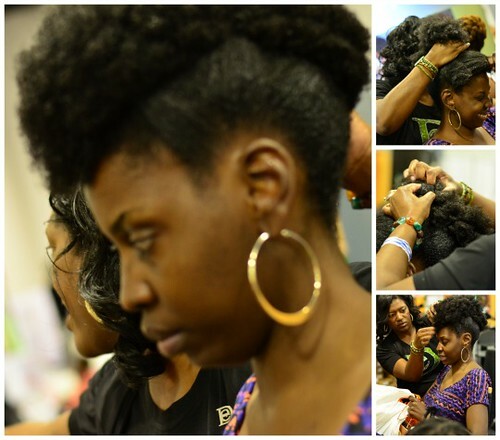 I have products from Shea Radiance, Obia Natural Hair Care, Reciprocitee, Shea Moisture, and many samples! 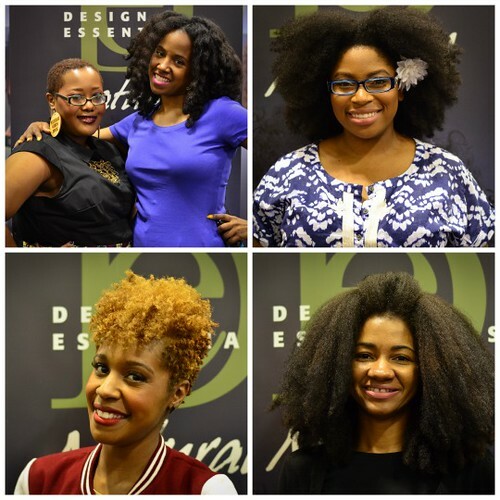 All of the items are hair products, with the exception of the Shea Moisture. This products was a body butter that I am in love with!!! I purchased it after deciding that the Jane Carter Nourish and Shine Butter was just out of my budget (about $21 a jar, but it is pure goodness). They only sell this body butter at ONE Target out of the FIVE that I can go to! After blowing through my first tube, I was hooked! Check out my video to see all the products I received from the WNHS and a mini review/rant/rave about the Shea Moisture Body Butter. Pictures are below!!! 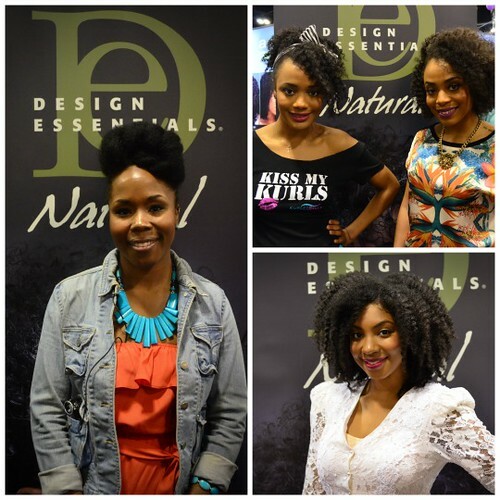 Kiki of Mahogany Knots hosted the Design Essentials® Natural booth where she mingled with attendees, posed for photos and offered hair styling tips. It's been a while since I checked out your blog…I see you've been busy!! Do it!